The Watershed Management Directorate (WMD) has been established as a nodal agency for coordination, monitoring and implementation of integrated watershed development programs in the state. At present two externally aided projects, and a centrally sponsored program are being implemented through WMD in selected micro watersheds of the state. The vision of WMD is to improve the productive potential of natural resources and increase incomes of rural inhabitants in degraded watersheds of the state through socially inclusive, institutionally and environmentally sustainable approaches. Confronted with climatic variability on marginal farms, and rising costs of agricultural inputs with low returns, mountain farming is facing production crises impacting food security and livelihood opportunities. With over 60 per cent population engaged in agriculture, climate-induced weather exigencies continue to limit contribution of agriculture to the economy. With restricted food storage facilities, and lack of requisite transport system, farm produce fails to find remunerable markets. Agriculture being the mainstay of people in the mountain region, traditional farming and cropping systems are under threat from growing unpredictability in precipitation and rising temperatures. The physiographic constraints along with variability in altitude, slope, and aspect limit the adoption of modern agricultural technologies. Despite these odds, there is a huge potential to increase agricultural productivity from small landholdings to meet the food requirements of its growing population. Climate resilient agriculture practices have the potential to increase productivity along with sustainable management of natural resources. To capture various adaptation and mitigation practices that are economically viable for the mountain hill agriculture in the changing climate scenario, explore various alternate livelihoods options, and assess how these could be up-scaled and marketed. Watershed Management approach has been globally recognized as an integrated way to bridge human and natural systems for the conservation, sustainable use and regeneration of renewable natural resources especially water. It is a multi-sectoral approach that combines a number of existing mechanisms including bottom-up approach in planning, monitoring and evaluation, environmental impact assessments of interventions, gender balance in decision making and capacity development. The Uttarakhand Decentralized Watershed Development Project- I (UDWDP- Gramya-I) in India (2004-2012) was the first project to build the institutional capacity of Gram Panchayats to own, manage and deliver development objectives at the local level. In line with the Sustainable Development Goals, with climate change becoming a growing reality, and Government of India's priority of doubling the farmers income by 2022 watershed projects stand to play an important role in policy design for improving agricultural economy. Watershed development with its close link to water-food-energy nexus is the most crucial to agricultural development activities. The second phase of the project, Gramya -II, is piloting climate resilient agriculture practices, and aims to share its approaches and methodology for creating a network of climate resilient practitioners in the mountain regions, for mainstreaming such practices in ongoing development programs for influencing policy change. . The two days summit aims to create a platform for exchange of ideas, best practices, innovations and experiences amongst the government departments, non-government organizations, scientific community, entrepreneurs, farmers, and students. This event is open to all individuals and institutions for creating a forum for developing and furthering climate resilient mountain agriculture. The summit will feature plenary and panel discussions on technical sessions spanning over two days. Each theme will have 5 to 6 presentations from the selected submissions for the workshop. In addition, poster presentation pertaining to the themes will also be exhibited at the event. A special session with progressive farmers will add interesting dimension to issues and challenges confronting the farmers. The following four major themes will be explored through technical presentations and plenary discussions. Like most mountain regions in the country, Uttarakhand is traditionally an agrarian state. Close to 78 per cent of its population is dependent on agriculture for livelihood, contributing 27 per cent to the state domestic product. Climate change is likely to result in reduced productivity of most crops with higher risk to rabi crops. Higher incidences of pest and diseases are expected with rise in temperature. Spatial changes in diversity of tropical and temperate crops across all agro-ecological zones are likely due to changes in weather patterns. Increasing efforts to mitigate and adapt to climate change imply an increasing complexity of interactions across all the spheres covering land use, biodiversity, livelihood, ecosystem services, water, agriculture and energy. In this scenario what are the climate resilient agricultural practices, which also at the same time assure farmers sustained livelihood? Hill agriculture is home to small land holdings that are largely rainfed, marginal and fragmented. The average land holding size is very small and the net sown area is also just 13% in the state, compared to the national average of about 43%. As large areas in the hills are rainfed, there is a need to generate alternate sources of irrigation to increase the net irrigated area through rain water harvesting, and use of efficient water management techniques, initiatives/interventions to improve in-situ soil moisture regimes, and comprehensive landscape management. What are the approaches that mountain farming communities needs to adapt to the changing climate scenario? The hill farmers traditionally practice an integrated farming system which includes agriculture, horticulture and livestock. 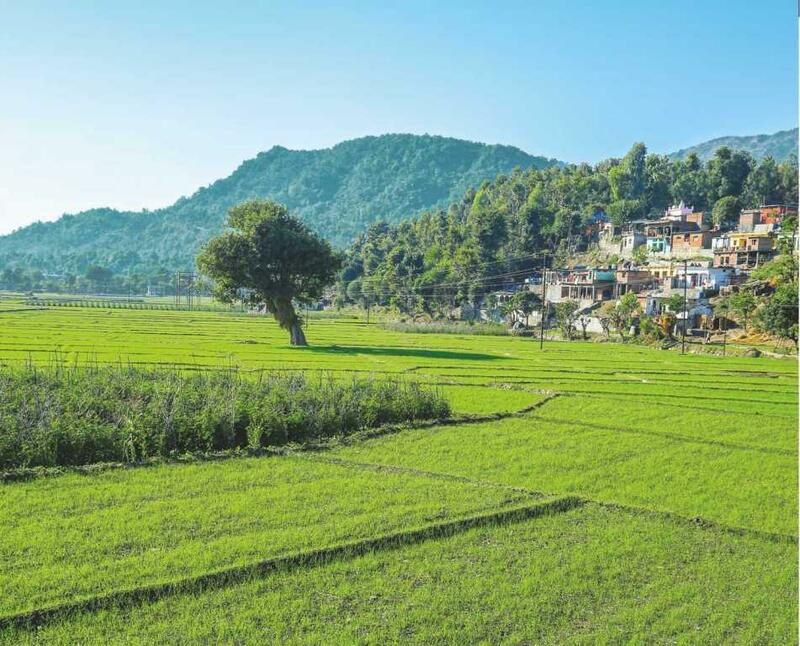 In Uttarakhand the geographical attributes and climatic conditions are favorable for various livelihood options including fruit orchards, the state also has a unique advantage of producing off-season vegetables, spices and floriculture. Also at the same time the traditional practice of livestock rearing is critical to rural prosperity. How these livelihood options can be integrated to create a triple win situation for the hill farmers? High rate of economic growth has transformed mountain markets. With migration from hills a growing trend, developing infrastructure in the hinterland with business plans that ensure better return on investment in developing a marketing chain holds special significance. 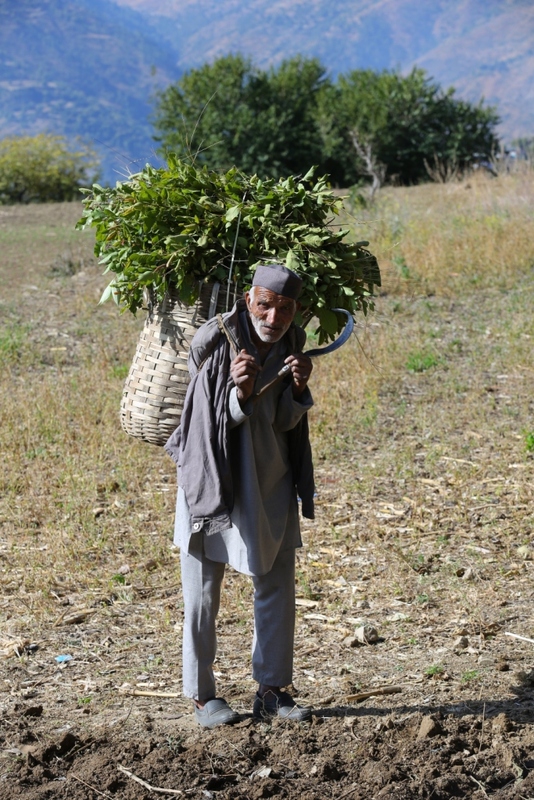 Lack of basic infrastructure in the remote hills, poor connectivity and absence of livelihood opportunities can improve local livelihoods. Can organizing farmers into federations, value additions /processing units, transit storage and collection centers, and marketing facilities offer innovative marketing solutions? The articles/papers should be submitted in the following format: Title, Name of author/authors along with their affiliation, contact details. Abstract, Key words, Introduction, Methodology, Results and Discussion, Findings/Conclusion, Recommendations, and References. Authors should submit abstract within the word limit of 700 words only.The matter should be typed in Times New Roman 11 pt typeface in one-and-a-half space on A4 size with a left margin of 2.5 cm in MS Word. Articles/Papers/Abstracts should be sent in electronic version through emails only, followed by hard copies through speed post. Full papers should include jpeg files of photographs separately along with the article/paper. All selected papers will be published in the Summit proceedings. The decision for selection of submitted papers/articles will rest with the editors of the volume. Theme based posters are also invited. The size of the posters should be minimum 3x2 feet and maximum 4x3 feet. The 'Summit on Climate Resilient Mountain Agriculture' is to be held on 02-May-2018 to 04-May-2018. The last date of receiving articles/papers/abstracts is April 15, 2018. The last date for submission of soft copies of theme based posters is April 15, 2018. Latest developments on the summit preparations could be checked on www.wmduk.gov.in, and all electronic inquiries may please be directed at wmduksummit@gmail.com . Dehradun is the proposed venue for the Summit. The location and guide map will follow in due course.